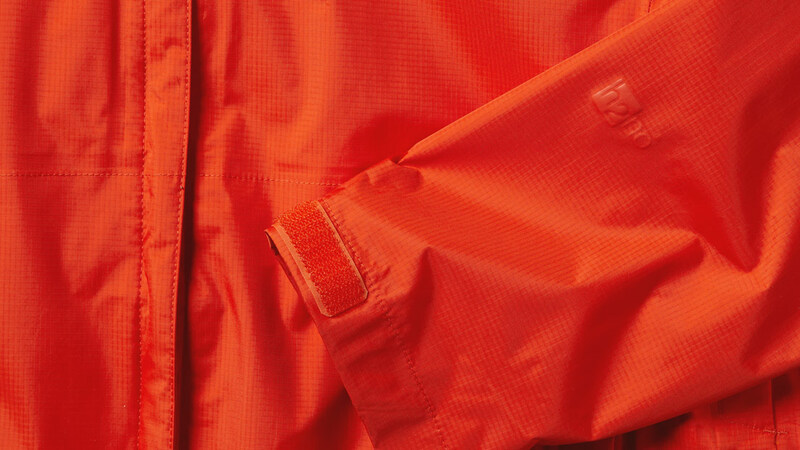 2-layer H2No® Performance Standard shell fabrics are completely waterproof, windproof and breathable. They’re designed for a wide range of uses, from backpacking to skiing and snowboarding. 2-layer H2No® Performance Standard shell fabrics utilize a taffeta or mesh lining rather than a bonded scrim to protect the waterproof/breathable barrier. The lining increases the garments wicking ability, durability and next-to-skin comfort. All products bearing the H2No mark have been vigorously tested for durability in our 24 Killer Wash, a process used to simulate years of use and abuse in a short period of time. This process consists of exposing the fabric to severe thrashing in a modified washing machine for a continuous 24 hours. H2No® Performance Standard is Patagonia’s benchmark for waterproofness, breathability and durability, which ensures a high level of long-term performance backed by our Ironclad Guarantee. H2No Performance Standard products undergo the most rigorous testing in the industry. The H2No Performance Standard for waterproof shell garments is 20,000 MM before, and 10,000 MM after our Killer Wash test (per JIS L 1092 B). We also send our ambassadors and testers into the field to punish these garments in every possible condition to expose any potential weakness in materials or construction. We reject any garment that does not pass our tests, regardless of technology or fabric supplier. For a brief history of waterproof barriers and more information on measuring Moisture Vapor Transfer Rates, visit our company blog and read "From the PCT to MVTR" by Patagonia customer service guru Old School.